Have you ever felt that the thing you wanted most in the world was for someone, anyone to just love you? The real you? So you try to gain love and acceptance by putting up a facade, wearing your fake self proudly so that people will love you? I have. In “The Cure: What if God isn’t who you think He is and neither are you,“ that way of thinking is exposed for what it really is, a self-defeating, feedback loop which does nothing but push us farther away from others and from God. 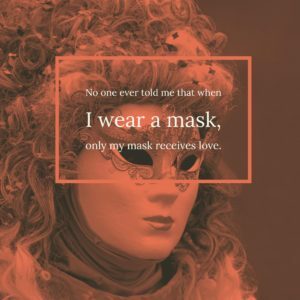 The authors lay out how we are tempted to put that mask on so we measure up. They point out that when Christians fall prey to this way of thinking it’s even worse as we try to make ourselves look presentable to a God we can never measure up to while we remain in this world. We forget His grace. While I’m not certain of it, I think this probably contributes to one of the biggest complaint I hear about “the church.” Time after time I hear about hypocrisy. Jesus had no use for hypocrites (Mark 23:27, Matthew 24:51). The Greek word for hypocrites referred to actors on stage wearing a mask. I’m persuaded that in this current age, people seek real, stable, truth. They seek it more and more as the world seems to spiral out of control and works to convince everyone their self-centered worldview is the only truth that matters. 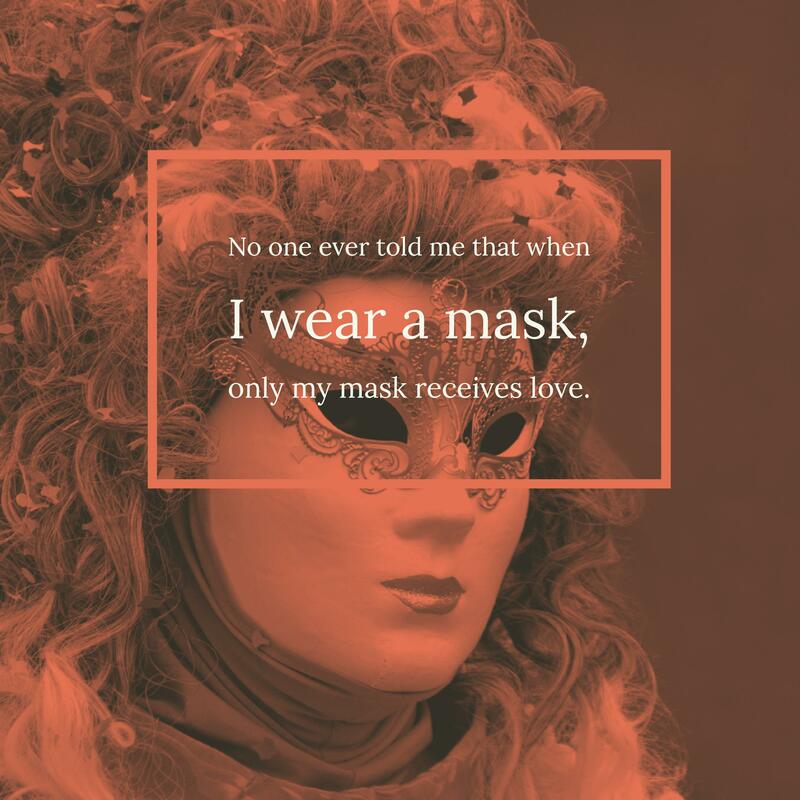 As Christians we need to take off our masks and be courageous enough to admit we’re not perfect and show the world God’s love is designed for those who are imperfect (Luke 5:32). It’s the only way we can truly love and be loved.